One of my favorite things about fall, is apple season. 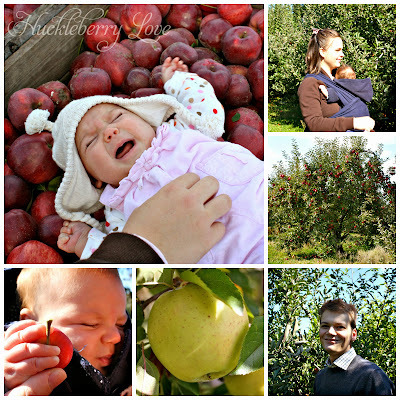 Growing up in the midwest, we frequented the apple orchards a couple times each season. We brought home bushels and bushels of apples and made so many yummy treats with them. 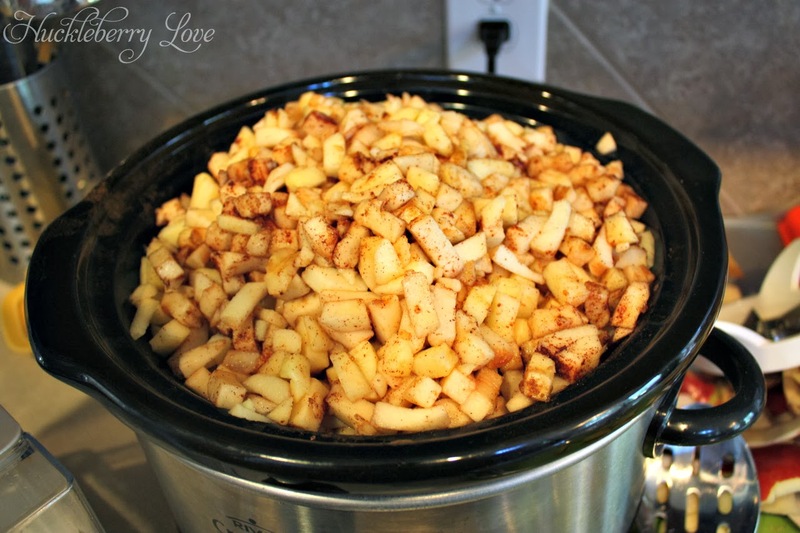 My favorite quick apple recipe is baked apples and you definitely can't forget about homemade applesauce. 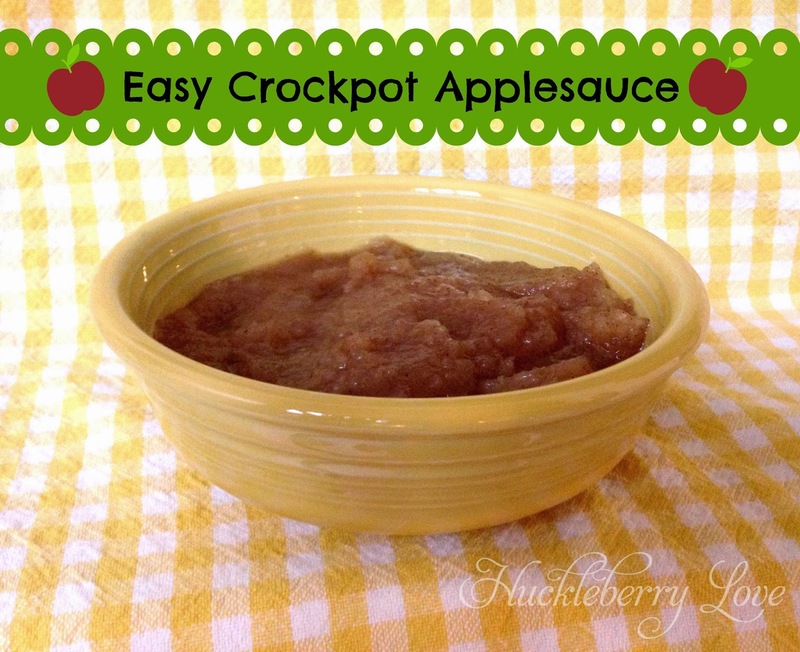 This applesauce is the texture of a chunky applesauce, but with the taste of baked apples in brown sugar and butter. It's amazing! Best of all, it's pretty easy to make. 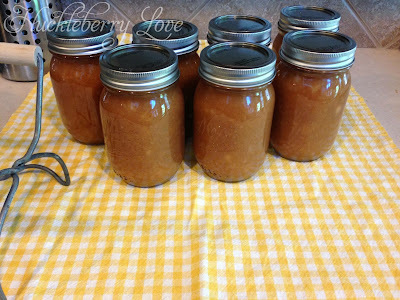 I adapted the recipe from Southern Food to fit my taste and quantity of applesauce because I planned on canning mine. 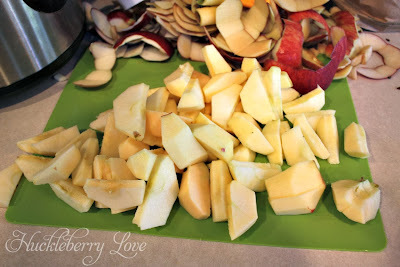 First, I washed, peeled, and cored my apples. I used an apple slicer, so they were in nice uniform slices. I made sure to check that all of the core was removed. No one wants a little hard piece in their bite! 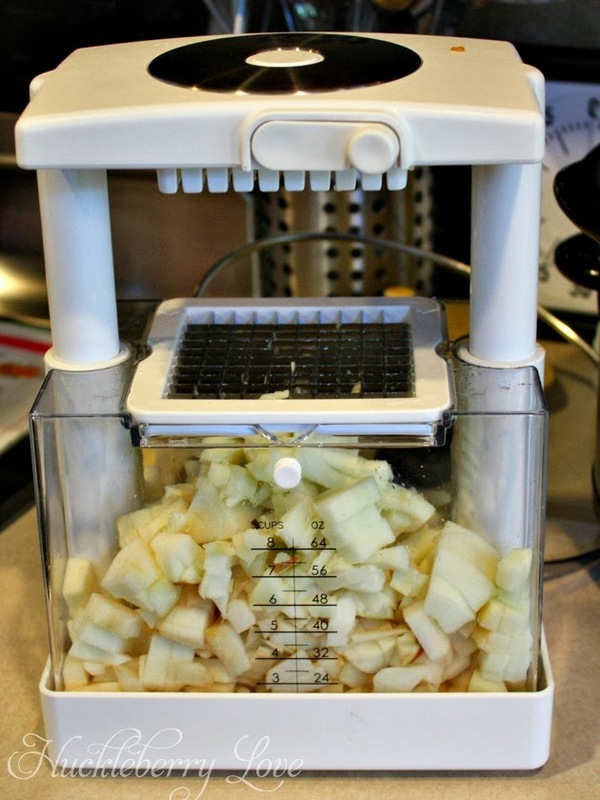 Next, I used my multi-chopper to chop up all of the apples. I mounded the apples in the crockpot & added the brown sugar, cinnamon, nutmeg, vanilla, and water. Stirring occasionally, I watched as the apples boiled down to a gooey masterpiece. I cooked mine on low for about 8 hours. After they cooked, I mashed the apples and used a stick blender to make it more saucy, but still chunky. This delicious applesauce will be a fall staple in our household. We love finishing a meal off with this warm applesauce as a special dessert for the kids (and grownups). 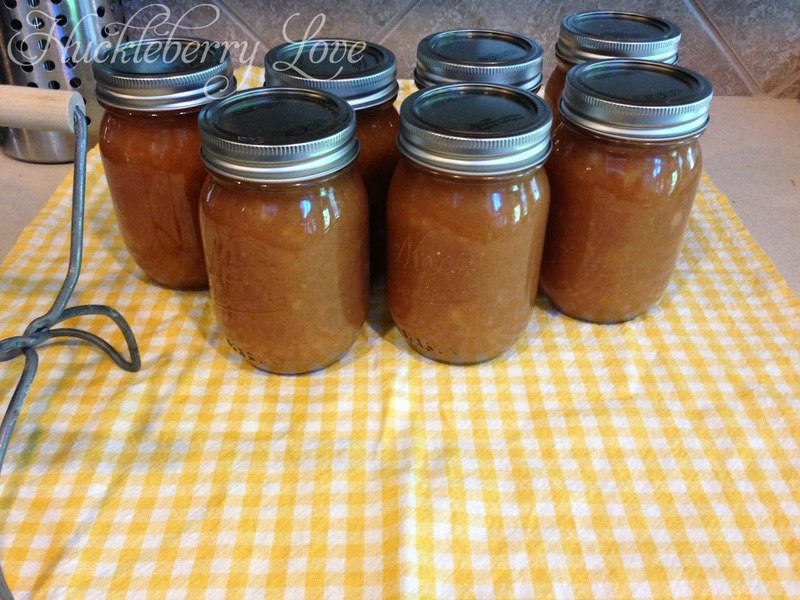 If you're not into canning, this would be super easy to do in smaller quantities, and even quickly on the stove.